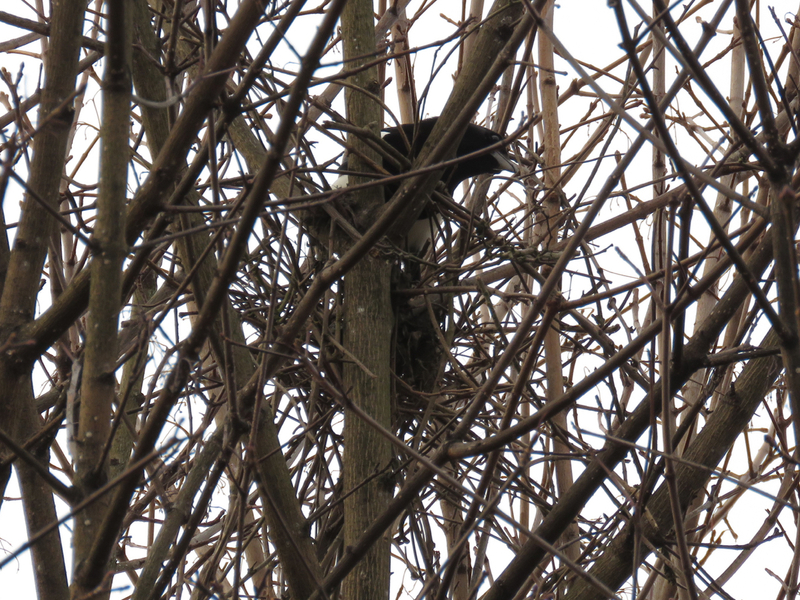 A pair of Magpies built a nest in a maple near our house, as they did last year (that time in the tree opposite). In the the last few days, the tail of the incubating female can be seen sticking out from the side of their large domed nest. Soon, we won't be able to see much as the leaves are growing quickly. Earlier in the year, the magpies were very vocal, now they are surprisingly quiet, if they fledged young, I do not know. The female will take care of incubating while the male feeds her. 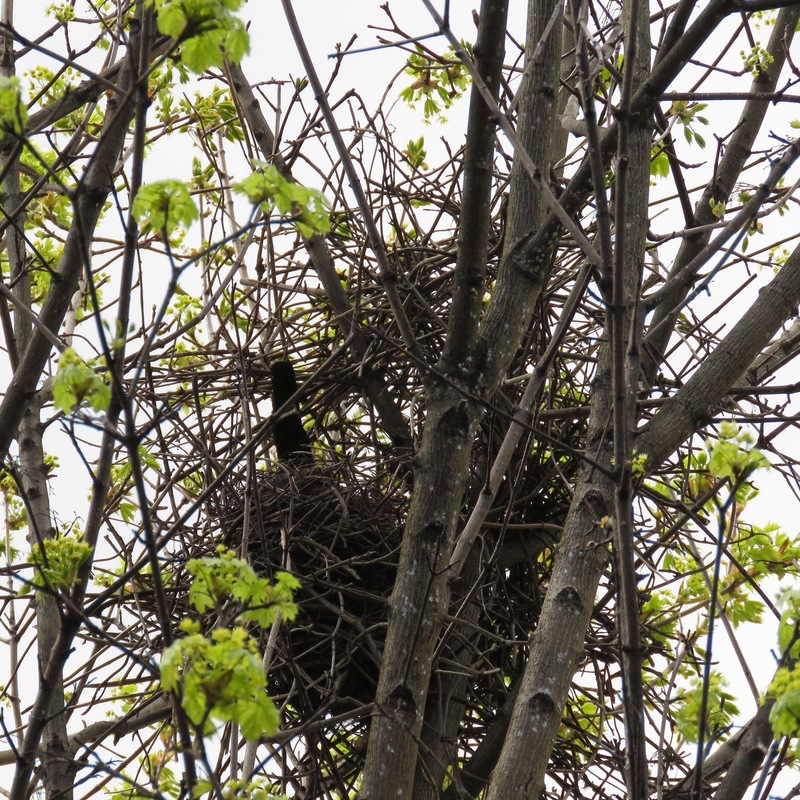 This is a photo from 13/03/2015, when nest building was in its early stages.